This family in Powell, OH wanted to expand their covered patio on the south side of their home so that they could have additional shade in the summertime and room to create an outdoor kitchen. The space abuts the garage, which is a little unusual. The existing wall is 12’ high, but we wanted a lower patio roof to provide more shaded space, so the open porch area is 10’ tall with a hip roof to match the home. 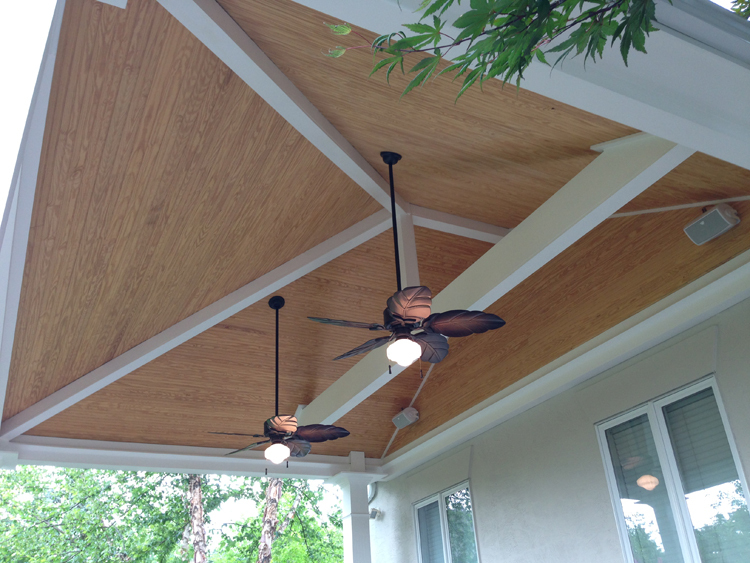 Underneath the roof, the ceiling is vaulted and finished with plybead to match the porch at the front of the home. Matching the existing pavers was a bit of a challenge because the old ones are no longer made, so we did some research with our extensive list of suppliers and found a nice solution with Unilock Beacon Hill pavers. The entire covered area is about 20’x16’ and is supported with four pillars made with Unilock Brussels, nicely complementing the pavers on the ground. Brussels was also used on the seating walls and to build the outdoor kitchen. As with most of our projects, this one has several thoughtful details that make it special. We modified the support columns with hand-carved flutes to match existing columns at the front of the home. The pillar caps are made from a genuine stone called Brentwood which is quarried in Oklahoma. It is so striking because it looks like petrified wood. We also used it for the kitchen and seating bar countertops, creating a rich and distinctive focal point. There is a built-in footrest all around the bottom of the bar. Little details mean a lot! The roof posts and beam, columns and king truss were all wrapped in Paulownia wood which has a high weight-strength ratio and is easy to work with for details like the column flutes. The finishing touches on this new cooking/eating/entertainment area were the installation of top-quality appliances and the wiring for lights and speakers. With the flick of a switch, light fills the space and highlights those polished stone countertops. One more turns on the music and then it’s time to fire up the grill and start taking drink orders. Powell’s newest exclusive eating area is open for friends and family to enjoy. Contact Archadeck of Columbus today to see how we can make creating your dream backyard an enjoyable experience, start to finish. The consultation is completely free. 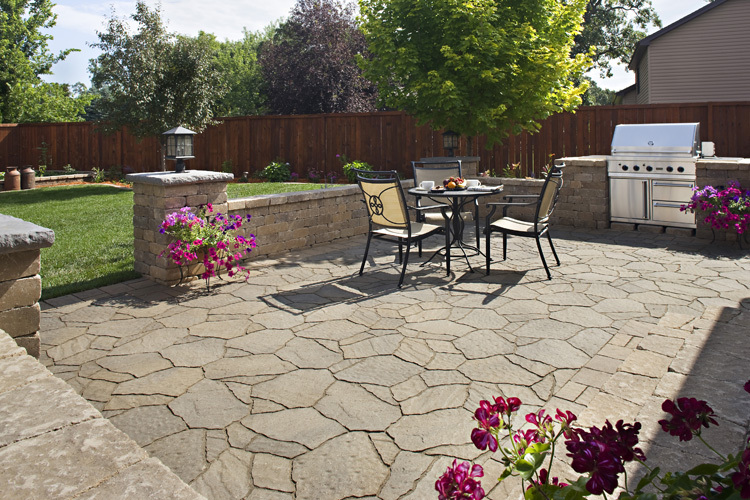 Top 4 questions Columbus homeowners ask when considering a new paver patio or hardscape. Archadeck of Columbus answers the top 4 questions asked by homeowners when planning a patio or hardscape addition. 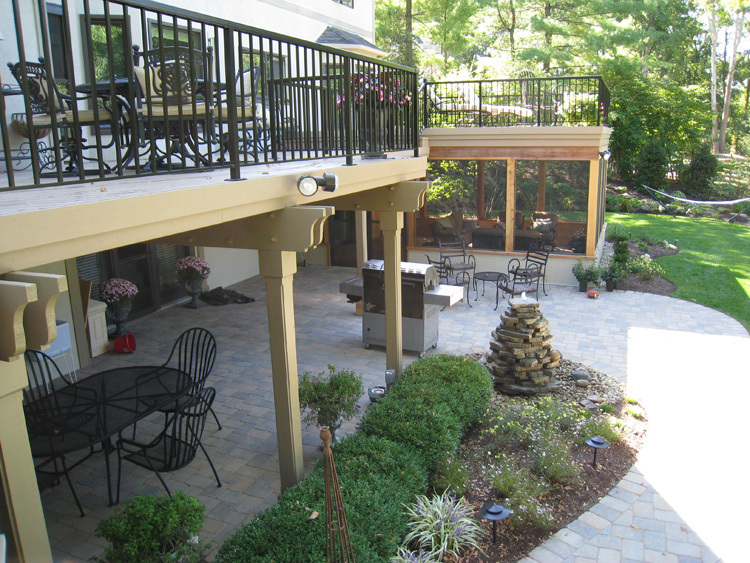 The popularity of patios and hardscapes in the Columbus area continues to grow each season. With this growth, there are a number of questions potential hardscape owners ask Archadeck of Columbus. 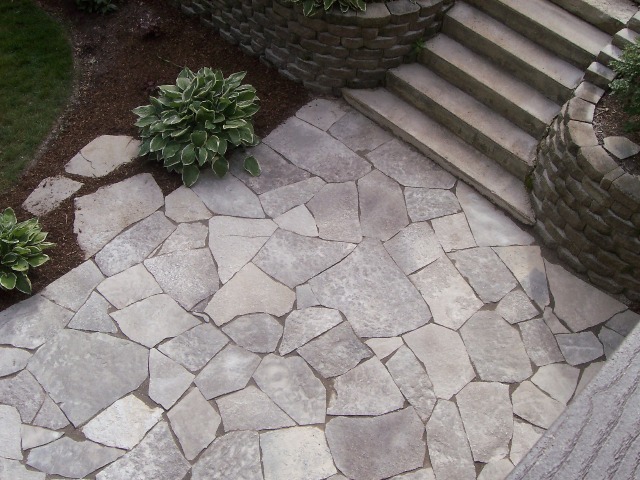 During our consultation with the client we are able to address any questions or concerns homeowners have about their patio or hardscape project. In an effort to provide information for your upcoming outdoor living space project, we have picked the four most commonly asked questions and provided our answers below. 1) Will the hardscape “settle”? 2) Will the hardscape get weeds? 3) Are hardscapes maintenance free? 4) What is the cost of a patio vs. a deck? Under this stunning flagstone patio are many layers of intensive preparation to ensure the structural soundness of the patio over time. The answer to these questions for the most part are no, no, no, and it depends. As far as any concern of a patio or hardscape settling over time or getting weeds, the answer is that it’s very unlikely if it’s done right. 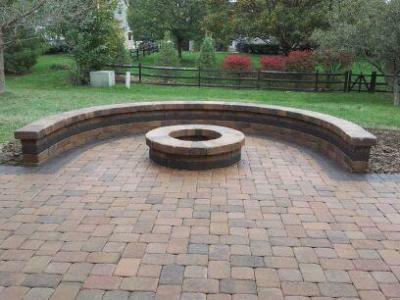 Here are the details that go into the way we install a hardscape patio or outdoor space. 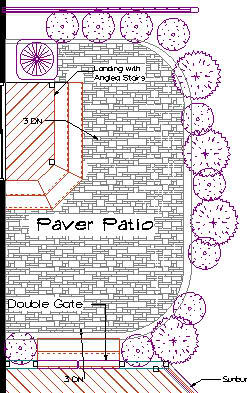 When we build a patio or hardscape we use multiple layers to build the right foundation for your paver patio. When we excavate the are for the patio, we compact the base (dirt), then add the quarter size gravel 2″ at a time and compact after each 2″ layer. Many companies will install all the gravel at once and compact only once. The first layer is a compacted soil base which is brought on by excavation of the proposed building site. We then install a layer of geo-textile material. We then add aggregate which consists of angular, quarter size stone which is added and compacted down two inches not just once, but three times. This is an element of patio construction that sets Archadeck of Columbus apart from other patio builders. We make sure the area is compacted in layers which is the main reason our designs maintain their integrity over time. We are certified Interlocking Concrete and Pavement Institute (ICPI) installers and build all of our hardscapes to meet and exceed all building codes set forth within. No weeds, no settling, no problem! Most installers don’t compact the base or aggregate correctly which leads to settling over time. 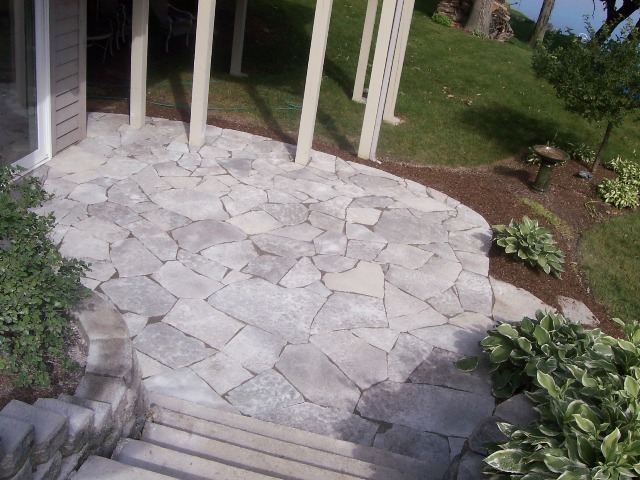 In addition to the compaction and aggregate layers, Archadeck of Columbus also installs polymeric sand which acts similar to grout once it is activated with water. We compact the last time pavers are installed and the poly sand is installed in an attempt to fill the voids as a much as possible so the poly doesn’t settle. This also greatly reduces the chances of weed seeds sprouting through the cracks. 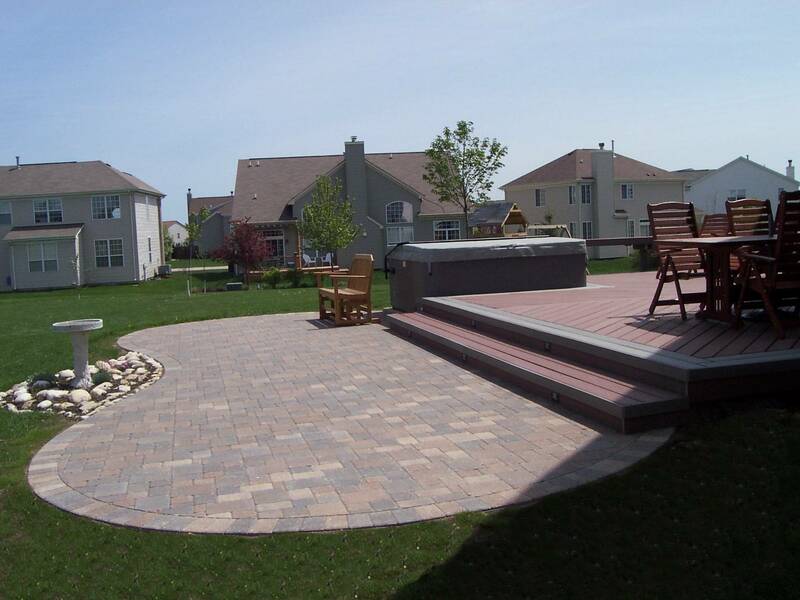 Archadeck of Columbus also provides a five-year guarantee on all hardscape and patio foundations, so we stand behind each of our structures every step of the way. To answer the question of whether a patio or hardscape outdoor structure is maintenance free, the answer is no because nothing is completely maintenance free. Patios are however very low maintenance. The only requirement we recommend is sealing the hardscape every couple of years for an extra measure of protection against the elements and everyday traffic. Using a sealer will add a slight gloss, or sheen to the hardscape itself, but most homeowners love this look! When trying to compare the price of a deck addition versus a patio, the final number is influenced by the design of the structure itself. Generally speaking, a wooden deck will be a little more expensive to build because you need a higher skill set for installation. When dealing with very flat ground, a patio will be a little less expensive to build, however when you begin to add vertical elements to the patio’s design that take more time, the price tag will begin to go up. In regards to the cost of a synthetic deck versus the cost of a patio, the price for the synthetic deck will almost always be significantly more. Once again, it is hard to gauge a precise cost analysis until you take the design or the space and all the “bells and whistles” within the design into consideration, so the answer is it all depends on your individual design. Author archadeckofcolumbusPosted on September 8, 2013 Categories Patios & hardscapes, Paver Patio Design and Installation, Paver Patio Design and Installation Columbus OhTags Archadeck of Columbus, Building the perfect Columbus OH outdoor room, Columbus certified Interlocking Concrete and Pavement Institute (ICPI) installers, Columbus OH hardscape designs, Columbus OH hardscape experts, Columbus OH hardscape outdoor rooms, Columbus Oh hardscaping trends, Columbus OH Patio Designs, Columbus OH patio furniture considerations, Columbus OH patio ideas, Columbus OH patio landscaping, Columbus OH Patios, Columbus OH Paver Patios, Hardscapes in Columbus, Interlocking Concrete and Pavement Institute (ICPI), outdoor living, paver patios, Paver patios Columbus, Planning the perfect Columbus OH patio or hardscapeLeave a comment on Top 4 questions Columbus homeowners ask when considering a new paver patio or hardscape. 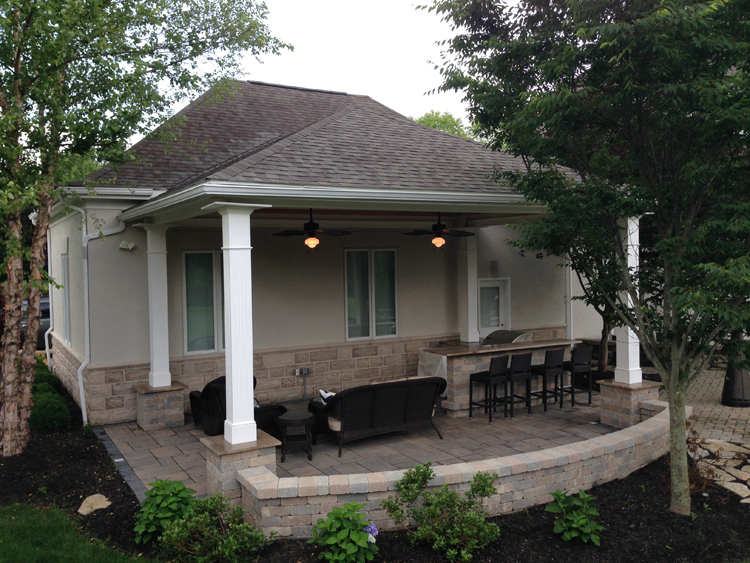 A covered paver patio in Gahanna, OH that delivers “curve” appeal. Archadeck of Columbus checks in on an “in Progress” paver patio in Gahanna, Oh. 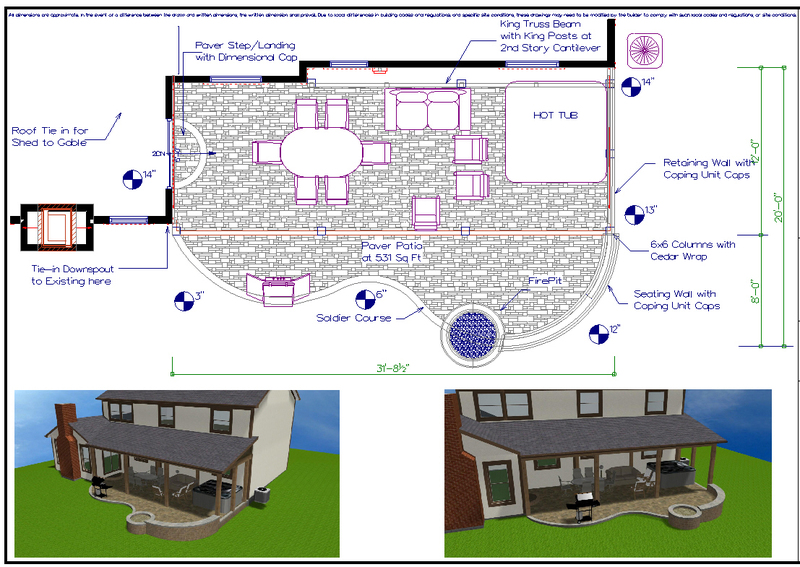 This custom design plan and accompanying renderings show all the luscious curves this completed patio will include upon completion. In outdoor structure design the presence of curved edges makes the structure more interesting and opens the door for endless design and landscaping possibilities. This covered patio in Gahanna, OH is currently under construction and is full of dramatic curves and aesthetic appeal. 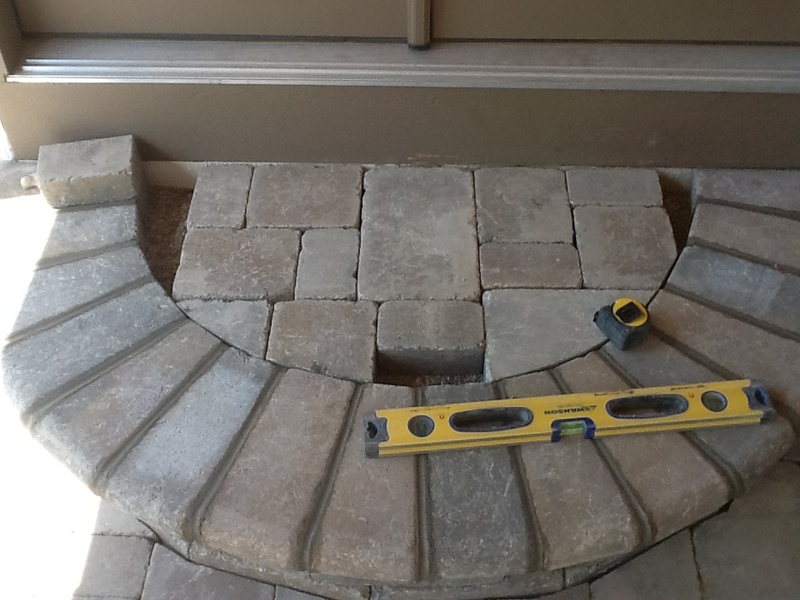 Curves, curves and more curves are present in this Gahanna, OH patio still under construction. The design will encompass an area of 531 square feet and will include a custom fire pit with an adjacent hardscape seating wall. The curved edges of the patio will be finished using a soldier course and stunning cedar wrapped 6 x 6 columns. 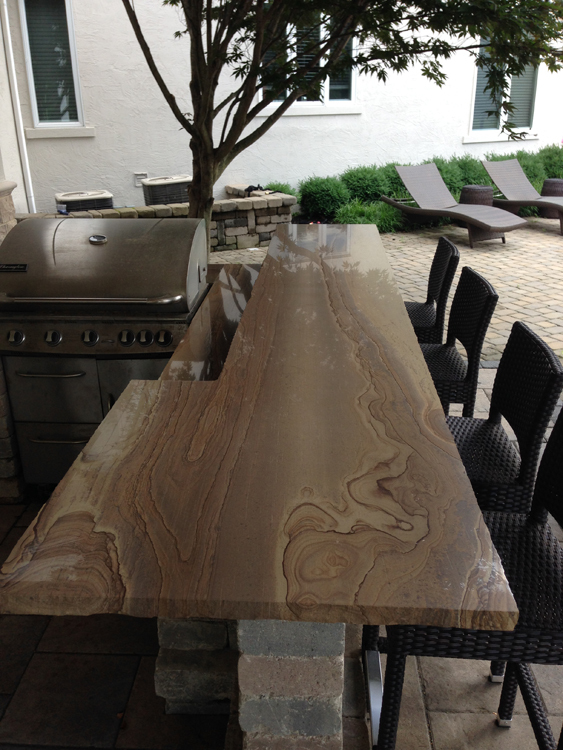 The hardscape color choice combined with the cedar will add a rustic elegance to the entire patio. 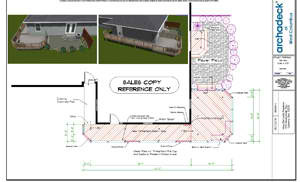 Details of the Brussels coffee creek paver the homeowners have chosen for the patio. 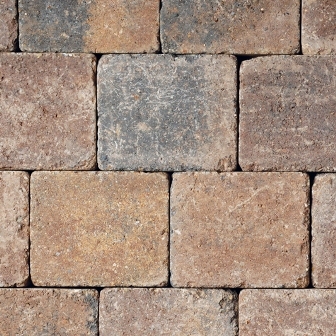 The Gahanna homeowners have chosen a Unilock Brussels coffee creek paver with mixed hues of Terra-cotta, browns and grey. The expanse of the patio will be completed in this hardscape and includes abundant room for dining, seating and anything else these homeowners have in mind. The paver takes its cues from old world flavors reminiscent of brick paved streets from a by-gone era. The entire project exudes elegance and the homeowners are anticipating putting their spa to use under the new patio cover too. See more inspiring images of hardscape patios that we have completed by visiting our patio and hardscapes gallery located on our website. Author archadeckofcolumbusPosted on June 27, 2012 Categories Archadeck of Columbus, Paver Patio Design and Installation Columbus Oh, Paver PatiosTags Archadeck of Columbus, Brussels coffee creek pavers by Unilock pavers, Columbus OH covered patios, Columbus OH patio coveres, Gahanna OH covered patio designs, Gahanna OH patio builders, Gahanna OH patios, outdoor living, Patios covers in Gahanna OH, Paver patios Columbus, Unilock PaversLeave a comment on A covered paver patio in Gahanna, OH that delivers “curve” appeal.